With the unleashing of the "War on Terror" in the aftermath of 9/11, Afghanistan has become prominent in the news. 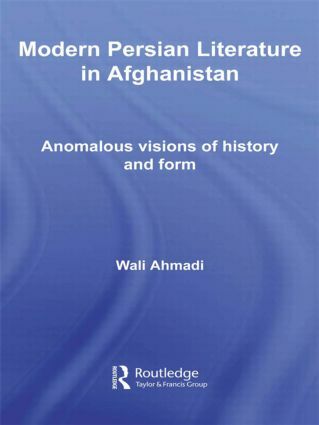 However, we need to appreciate that no substantive understanding of contemporary history, politics and society of this country can be achieved without a thorough analysis of the Afghan encounter with cultural and literary modernity and modernization. Modern Persian Literature in Afghanistan does just that. The book offers a balanced and interdisciplinary analysis of the rich and admirable contemporary poetry and fiction of a land long tormented by wars and invasions. It sets out to demonstrate that, within the trajectory of the union between modern aesthetic imagination and politics, creativity and production, and representation and history, the modernist intervention enabled many contemporary poets and writers of fiction to resist the overt politicization of the literary field, without evading politics or disavowing the modern state. The interpretative moves and nuanced readings of a series of literary texts make this book a major contribution to a rather neglected area of research and study.